In the long-awaited conclusion to the Thoughtless trilogy, Kellan’s band hits it big and he and Kiera find themselves pushed to their limits…can love survive when life gets reckless? When Kellan’s band gains stardom, Kiera and Kellan’s relationship is put to the ultimate test. Can their love for each other withstand the constant pressure of superstardom? The friendships they’ve formed, the new family they’ve found, and the history they’ve forged will all play a part in helping them navigate the turbulent waters of the band’s exploding popularity. A greedy executive hell-bent on success, a declining pop star looking for an edge, and a media circus that twists lies into truths are just some of the obstacles the lovers will have to overcome if they are going to remain together. Fame comes with a price - but will it cost Kiera and Kellan everything? ©2013 S. C. Stephens (P)2013 Simon & Schuster, Inc.
What did you love best about Reckless? Nothing particular i loved the whole book from beginning to end! Yes the first 2 books and she is an awesome narrator! Wished there was a book 4, 5 and more! This is the first trilogy I’ve read in awhile where the writing improves with each book and the ending left me totally satisfied. I’ll miss the characters but I’m pleased with the series outcome. This series centers on a regular girl in love with a budding rock star. Where we left off in the last book, Kiera graduated college and is now free to go on tour with Kellan and the D-Bags, and the band is on the verge of hitting it big. With fame comes new problems, and not everyone is on Team KK. Fans, record executives, the media, and other celebrity types all want a piece of the red-hot Kellan Kyle. Do Kiera and Kellan have what it takes to go the distance or will their relationship become a rock and roll casualty? The Thoughtless series has drama and steam aplenty. And Stephens has a knack for hard-hitting emotional scenes. I was plenty nervous about what crisis our couple would face in the final chapter, and I even had to read spoilers because I didn’t trust that a HEA was a done deal. Let’s face it; Stephens likes to put her characters through the ringer. And in Reckless, there are some scary moments and surprises that kept me guessing throughout. The pacing is good, and Stephens balances the romance, music career, and other character’s storylines well, tying up loose ends. One thing that made me pleasantly surprised in this installment was the character development. In the first two books Kiera shows poor judgment to say the least and makes the same mistakes over and over. In Reckless, Kiera shows a lot of growth and maturity and I liked her so much more. But it’s not just Kiera that rises to the challenge. Griffin and Anna’s progress stands out, Denny evolves, and Kellan is as swoon worthy as ever. 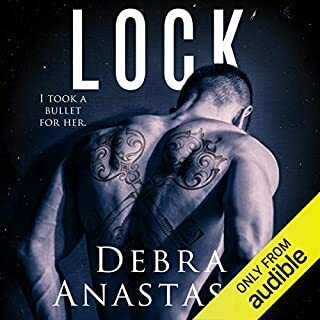 I listened to the audiobook, read by Rebekkah Ross. Ross’s narration is very consistent and easy to listen to. With these long books the time flies in part because of the addictive story but also because of the smooth narration. Ross will always be the voice of Kiera to me, and her voice is more confident as Kiera learns to have faith in herself. She gives distinct voices to varying age ranges, different accents, and male and female voices with ease. I never had trouble differentiating the characters. It’s one of those audiobooks that you make up chores to complete so you can keep listening. If you like stories with romance and angst, and rock stars, give the Thoughtless series a try. Overall I enjoyed this series. It was written different than I was used to reading. It was like and recounting of events and journey. At first I was not sure what I thought but it grows on you and you become captivated by her story. I only did the audio book for the last book but would recommend it. You can picture that these events could really happen. It is about choices and decisions that you make and the consequences of those actions/choices. It makes you laugh, cry, smile and cheer. The dialogue between characters is very funny. The performance was great. What other book might you compare Reckless to and why? Love Unscripted and Love Unrehearsed. They both have similar plots where the male main character is in show business and the heroine is a regular joe who is trying to fit into his crazy life. Did Rebekkah Ross do a good job differentiating all the characters? How? She tried but her voice is somewhat monotonous. The ending made me cry out of happiness that they finally got their happily ever after but also out of sadness because the story is over and I'll miss reading about Keelan and Kiera. Reckless went deeper into their relationship and beyond their insecurities. The characters were more confident and the story took their relationship to the next level. The turbulence was less within their relationship and what was being done to them. The story ended well. Kellan! A beautiful devoted rock star ...who wouldn't love him. Denny. She did a good job with the Australian accent. Or maybe Griffon. He was sure funny! I agree with other reviews. This story line is similar to Love Unscripted and Love Unrehearsed. If you have made it to book three, then you probably are not reading the reviews. It is a series you cannot put down after book 1 and you have moved right from book 2 to 3 without skipping a beat. Totally addicting and sweet! I have told all my friends about it!! Wondeful conclusion to the series! Would you consider the audio edition of Reckless to be better than the print version? I have print, kindle, and audio edition and I like them all equally! 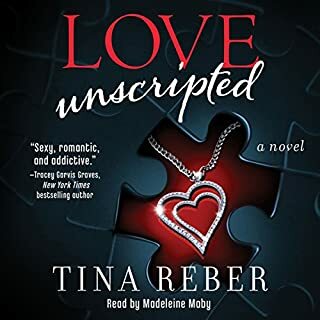 Love Unrehearsed because they are both final books and had a peaceful calm to them with characters I have loved for a long time! No I have not but I really liked this one! The whole ending when it is a few years later. Absolutely the best book I have ever read! EVER! This was my favorite book in the Thoughtless series. I wanted it to go on forever. I lost myself in this book and loved the characters as if they were real people. I did not want this book to end!!! But the ending was wonderful and I am very happy to say that it left a lot of openings for future books. Well at least I hope! I want to read more of these characters!!!! Absolutely beautiful writing!!!!!! Thank you, S.C. Stephens! I absolutely loved the first two books. From the very beginning of book three we are off with the drama again. You just have to love an author that can reach out, twist you into knots, not into one but THREE books. So here I go again. I’m getting myself all caught up with the drama and getting upset with all those “other” people making trouble for Kellan and Kiera. I find myself laughing at the antics of Griffin. I find myself continually hoping that Kellan and Kiera don’t let things mess their love up and please, please, please don’t cheat on each other. It’s just amazing. Go ahead and use your credit or just purchase this book. Like I’ve stated in earlier reviews in the previous books, the sexual content is mild and in these books the other content is so good it doesn’t matter. This series is at the very top of my favorite books ever. The 3rd book in the Thoughtless Series is the best. The 1st book was really hard to review. I disliked the heroine but nevertheless, it was so well written, that i could not put down the book. There were times when i just wanted to smack Kiera, she was so immature and also cruel. The 2nd book was also an emotional rollercoaster, but all 3 kiera, kellan and danny had developed and grown up. The ending was already making me happy. Now the 3rd book is a very round closure for the series. I am looking forward to the next book of mrs. stephens. I absolutely loved these books. read them time and time again. Would really like to read a book for Justin and Kate as there is a story there. I equally enjoyed both formats. Print came first and audiobook next. What other book might you compare Reckless to, and why? The real series by Katy Evans. Have you listened to any of Rebekkah Ross’s other performances? How does this one compare? When Kiera is finally found out. You know it's coming, you don't really respect her actions, but still feel sorry for her. 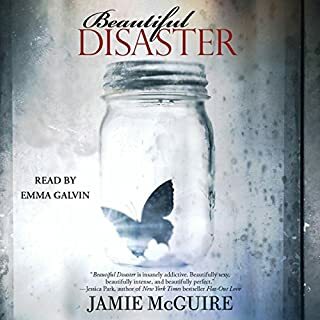 Having been hooked on the first two books, so much so that I got through them both in a matter of days I was really disappointed in the ending to this trilogy. The passion and suspense of the first two books was sadly lacking in this book and really it was all a bit too happily ever after throughout the whole book. In a way I wish the author had ended the story at the end of the second book. Whilst Keira was definately more likeable in this book I thought Kellan had lost some of his edge and was a bit blahh. So this is the final chapter for the Thoughless trilogy. Kiera has finished her studies and joins Kellan and the band in LA where they are being promoted by a record company. During this time she decides to become a writer and part growing up/part therapy she writes about the love triangle with complete honesty. 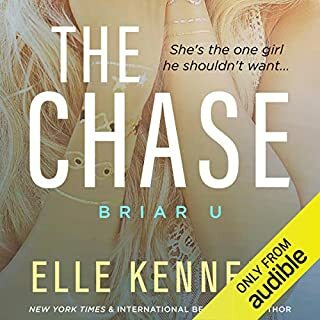 All is good between Kellan and Kiera, their openess and willingness to discuss problems and issues has paid off with a closeness that could only be glimpsed at the end of book 1. Enter failing actress who uses and undermines Kellan and Kiera's relationship for her own ends. This situation is supported and managed by the record company who are only interested in profits and don't give a damn about K&K's relationship. Lets just say that Kellan reaches a point where he has had enough and exposes what has been happening with explosive results. The repercussions from this are almost fatal but I will say no more. The final chapters of the book are superbly balanced without being over the top. My favorite bit is Kellan's feelings and response to Kiera's whisper before he stepped onto the stage, read it for yourself. The Kindle version superb, the lady reading this is still totally wrong!.